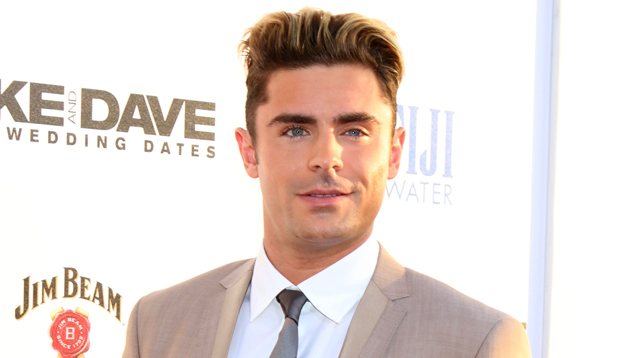 Zac Efron Was On Tinder And Not A Single Person Swiped Right! Talk about a missed opportunity? ERMMMMMMMMMMMM. Why the hell did no one tell us that Zac Efron was on Tinder? Believe it or not, Zac actually decided to join Tinder like some normal human being after his split from his girlfriend of two years, Sami Miro. But the 28-year-old told The Times that not a single person swiped right. Not even one. Zero. Zilch. "Amazingly, when I signed up for Tinder, nobody swiped me!" he said. "They thought [my profile] was fake." The Mike And Dave Need Wedding Dates star added that his celebrity status is preventing him from ever forming a real connection with someone because they feel like they already know him. "Dating is something I'll never be able to do," he said. "As in the dictionary definition of dating, because one way or another I've impacted that person's life and they'll soon realize it. A date has to be very long to dispel whatever people think of me." Hey, buddy, we've got all the time in the world. Just give us a time and a place and we'll go on a week-long date if we have to!